Helicobacter pylori is a highly successful bacterial pathogen of humans, infecting the stomach of more than half of the world’s population. The H. pylori infection results in chronic gastritis, eventually followed by peptic ulceration and, more rarely, gastric cancer. H. pylori has developed a unique set of virulence factors, actively supporting its survival in the special ecological niche of the human stomach. Vacuolating cytotoxin (VacA) and cytotoxin-associated antigen A (CagA) are two major bacterial virulence factors involved in host cell modulation. 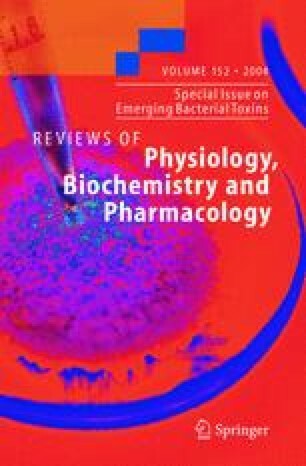 VacA, so far mainly regarded as a cytotoxin of the gastric epithelial cell layer, now turns out to be a potent immunomodulatory toxin, targeting the adapted immune system. Thus, in addition to the well-known vacuolating activity, VacA has been reported to induce apoptosis in epithelial cells, to affect B lymphocyte antigen presentation, to inhibit the activation and proliferation of T lymphocytes, and to modulate the T cell-mediated cytokine response.